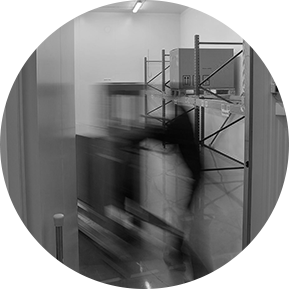 We provide reliable, modern, state-of-the art warehousing services compliant with GMP/GDP. Our warehousing facilities have been recently constructed and are equipped with the latest technology. Our partners are welcome to inspect our facilities. We continuously inform clients about inventory levels and single shipments. Detailed, comprehensive reporting is available at any time to answer questions regarding inventory movements. In case cold chain shipment is required, we handle the prerequisites to guarantee the proper shipment. In case distribution to other EU countries is needed, we cooperate with international service providers. Part of our service portfolio is deliver and deliverance medical samples and donations for institutions and sales representatives between temperated conditions according to the specific needs of the client. Recently the warehouse services were extended with cross docking (temporary storage, site transfer operation) primary commodity storage. Medical- marketing material storage, delivery, and Posta Pont hadover if needed. Get in touch to discuss your needs!